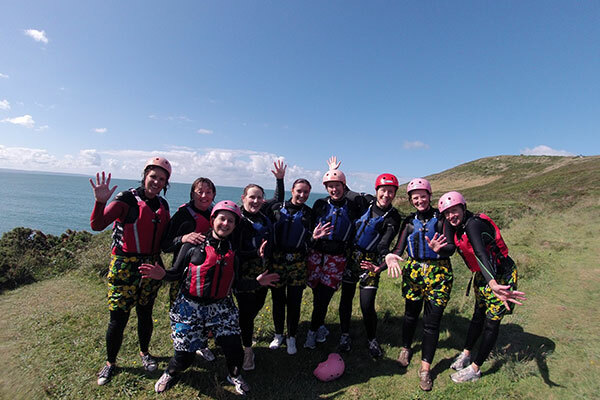 If you have a Stag or Hen party to organise, then what better way is there to celebrate it than combining the usual celebrations with the thrill of new and exciting adventures. 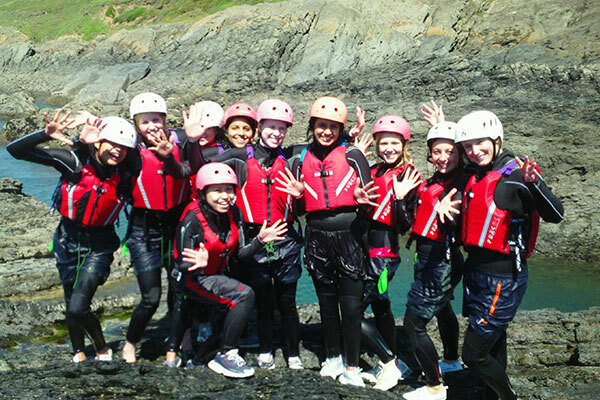 Activities such as Kayaking, Coasteering, Surfing, High Ropes and many more can all be combined with your accommodation, transport and VIP passes to local pubs and clubs to form a fantastic Stag or Hen package. 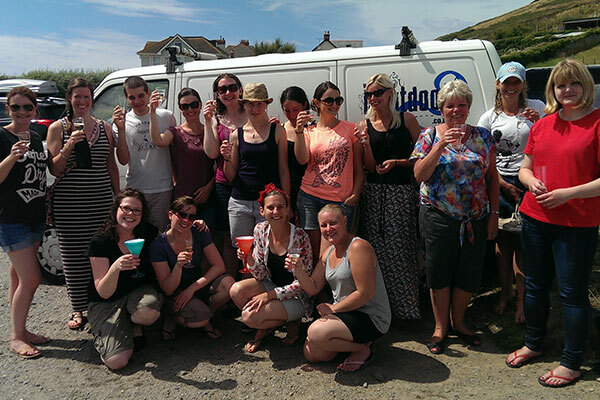 We understand that arranging a Stag or Hen special break can be stressful and so we want to make the whole process as easy as possible. H2Outdoor can arrange a package that will give your group a celebration to remember and one that can be tailored to suit you and the requirements of all those people joining you. 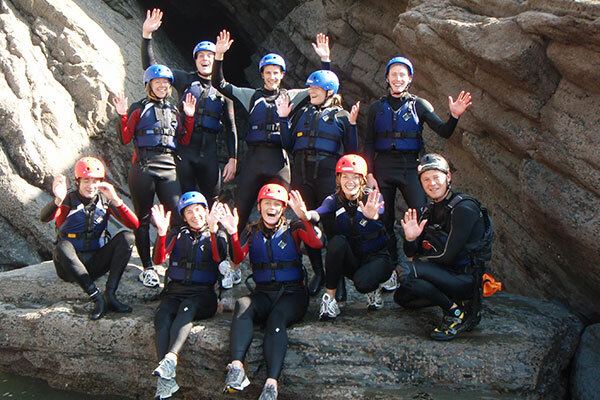 We have a range of exciting adventure activities to fill your days with fun and thrilling experiences. 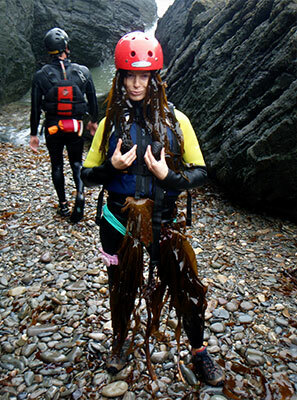 Coasteering is a very popular activity for groups and is something that everyone can enjoy as long as they like the water and have a sense of adventure. Once the activities are done, most groups want to go out in the evening and sample the local bars, restaurant and night clubs and we can help with that too by offering recommendations, and discounts on selected venues. H2Outdoor can also help to arrange transport to make sure you all get to the best night spots North Devon has to offer and then home again ready for the next action packed day and the new challenges that await you. H2Outdoor are happy for you to book just your adventures with us but we are also able to add extras to your package including photos or a video or your activities, a hot or cold lunch, hot or cold drinks for after the session, towel hire, kit hire and much more. Just let us know your requirements and we will do our best to assist you. Stag or Hen package H2Outdoor style! We are able to create your adventure package with a range of accommodation options but ever considered doing it H2Outdoor Style?! We have a selection of 6 metre Bell Tents available for hire which can be set up ready for your arrival in a campsite of your choice. They are massive tents with plenty of room for at least 8 people and they offer that little extra something for your trip. To book your activity session with us, all we require is a £10 per person deposit which will hold the selected date and time slot for you and then the final payment is due a minimum of 2 weeks prior to the activity date. Payments can be made by card over the phone or via a bank transfer. Please note that additional deposits will be required if booking accommodation with us. We always say that it is much easier to add people than it is to take them away. We recommend that if possible you book for the number of people you know are definitely joining you and then just contact us as and when you know the confirmed numbers and we will settle the balance when it comes to making the final payment. Each of our water sports last for around 2 hours in the water but you will need to allow longer for getting changed etc. Longer sessions are available on request. The duration of other activities such as High Ropes will vary. All equipment and wetsuits are provided within the price of the session however you will need to bring something to wear under the wetsuit (swimwear is ideal). A full kit list will be sent out for your chosen activities with your booking confirmation. When it is raining, we find there is nothing better to do than be in the sea and get wet from every direction. The only time we need to cancel is if the conditions are dangerous or unsuitable for the group. We have other locations available that may offer more shelter or we can offer a different activity if required. A full refund will be given if we cancel a session due to weather or conditions and are unable to provide you with an activity you are happy with.